WITH the excitement of a thrilling Masters still fresh in our minds, the PGA Tour heads to one of its most iconic locations, with the RBC Heritage being played at the magnificent Harbour Town Links at Hilton Head, South Carolina. It is one of the most instantly recognisable courses on the rota, with the final green overlooked by a red and white lighthouse and the winner receiving a tartan jacket. This tournament is a little different from most others. It is played on a course that requires shotmaking, something that is borne out by the list of recent winners. It was won in 2017 by Wes Bryan, in 2016 by Branden Grace, in 2015 by Jim Furyk, in 2014 by Matt Kuchar, in 2013 by Graeme McDowell, in 2012 by Carl Pettersson and in 2011 by Brandt Snedeker. What all of these golfers have in common is that none of them are bombers – they are men who consistently find fairways and they are all great iron players who, on their day, also possess wondrous short games. England’s Luke Donald had his best result of 2017 at Harbour Town, finishing one shot adrift of Bryan. Incredibly, it was the fifth time Donald had ended the week as runner-up here. He has struggled for a couple of years now, but there is clearly something about this course that suits his eye and if he is ever going to get his career back on track, the chances are that this will be where it happens. Like so many before him, Donald lost his form when he decided that he needed to hit the ball further. He had carved out a wonderful career, finishing 2011 as leading money winner on the PGA Tour. He has won five times in the United States, with the most recent of those successes coming in 2012 at the Transitions Championship. And there have been seven victories on the European Tour. 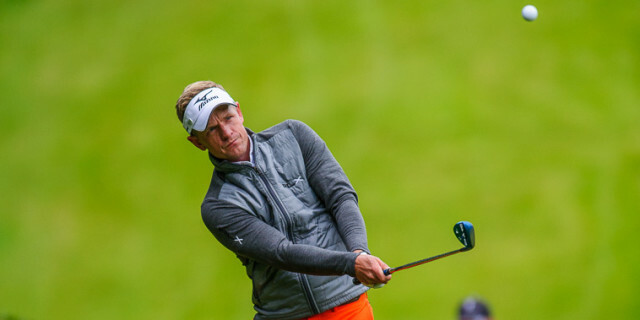 Again, his last victory on home soil came way back in 2012 when he took the BMW PGA Championship at Wentworth – one of the longest courses on the European Tour. At that time he was battling for the world No 1 ranking with Rory McIlroy and Lee Westwood. Donald spent a total of 56 weeks on top of the world rankings. So why on earth would he ever want to change the technique that got him to that place? But he did. The worst thing in all of this is that when he decided that he was following the wrong path and returned to the method that had worked for him for so long, he discovered that he had lost his biggest asset. Donald was, without argument, the best putter on the planet but his swing changes put additional pressure on his short game and he lost his putting touch. Will he ever get back to where he was? He is now 40 years old and it is going to be tough, but if it is ever going to happen, then this is the course where the journey can begin. His fellow professionals will surely wish him well. 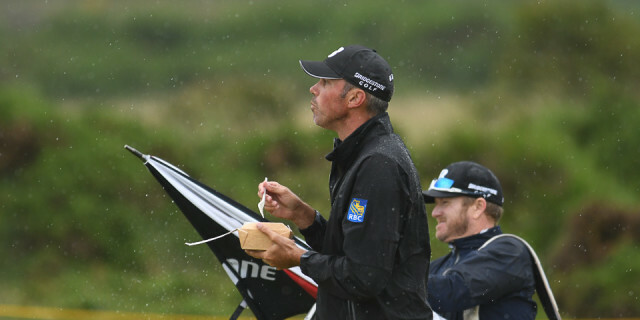 It is little surprise that Kuchar is a former winner of this tournament. With more than 80 top-10 finishes on the PGA Tour, he is surely the most consistent tournament golfer in the world. Some people believe that he lacks hunger, but nothing could be further from the truth. He has won more than $40m in prize money in a glittering career, along with seven titles, and is actually the highest-earning active full-time PGA Tour player without a major to his name. Kuchar is one of golf’s good guys, a man who plays with a smile on his face and who raises millions of dollars for charity. But underneath that sunny exterior lurks a gritty competitor. Lest you forget, he came within a whisker of beating Jordan Spieth in The Open Championship at Royal Birkdale last year. He put a brave face on it, but make no mistake about it – he was bitterly disappointed. It took him a while to get over it but he has continued to work hard on his game and has played some magnificent golf again this year. It is hard to believe that there was a time in his career when he struggled to maintain his playing privileges. He realised his technique wasn’t up to it, so he found a technique that he could repeat. Like Donald, he has built his reputation as a man who finds lots of fairways and hits a lot of greens in regulations. He has a magnificent temperament, is a far better putter than many pundits give him credit for and it would be no surprise if he is the man being helped into the tartan jacket on Sunday. When you look at the list of past winners, there are two names missing from the list for whom Harbour Town is made to measure – Jason Dufner and Ryan Moore. Dufner has established a reputation for himself as the most miserable man of the PGA Tour and it is true that does himself few favours when it comes to his relationship with the galleries by refusing to show any emotion whatsoever. He never smiles, but he also never shows flashes of temper. It creates the impression of a man who simply doesn’t care. Nothing could be further from the truth. And do you know what? Off the course, Dufner is one of the most affable characters you could ever wish to meet. But more important than any of that is that here is a golfer who hits the ball straight and is one of the best wedge players in the business. He has won five times and all of those victories have come on courses that favour shotmakers. Moore is also a five-time winner. The 35-year-old American headed into the gym during the short off-season. He also changed his diet and has lost a lot of weight. His swing, which always featured a loop, has changed slightly because of his new physique and he is still getting used to those subtle little changes. But one thing that hasn’t altered is his unerring ability to find fairways, and that makes him dangerous at Harbour Town.